Ultimate French Quarter Insider’s Tour.Visit New Orleans' oldest, most active, and most haunted cemetery! This walking tour through the French Quarter is led by a local guide and has a duration of 2 hours. No boring academic tour here, we like our tours spicy just like our jambalaya! 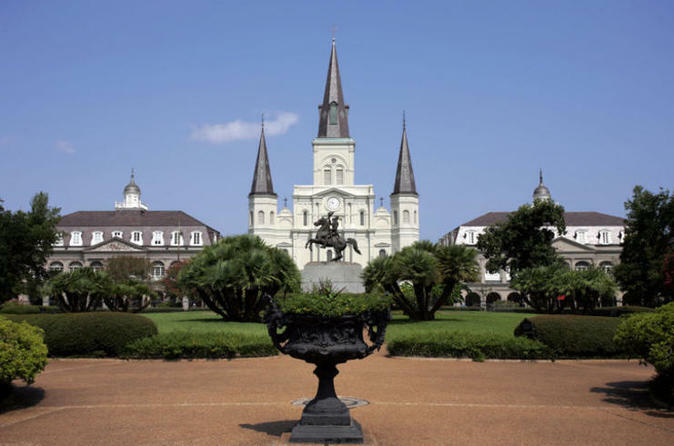 Sure, we’ll take you to the “MUST SEE” places like the Cabildo, St Louis Cathedral, Café Du Monde, The French Market, The Pontalba Buildings, etc. But we’ll also give you a little somethin’ EXTRA! We’ll let you in on TRUE INSIDER INFORMATION like where can you REALLY find the best Po-Boys, Gumbo & Pralines? Where do LOCALS go to find the BEST JAZZ? You’ll also get the INSIDE SCOOP on the best places to HAVE FUN & let your hair down. And to top it all off we’ll teach you some of the quirky SAYINGS & PHRASES that are UNIQUE to New Orleans. When you’re finished you’ll be walkin’ & talkin’ just like a local! It's the best french Quarter Tour ever!! !